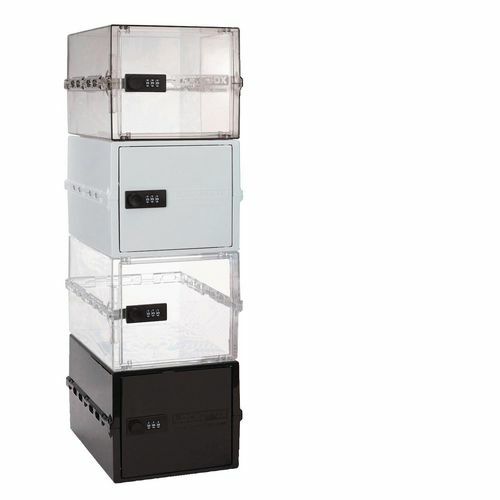 High strength polycarbonate plastic locker. Ideal for carers, schools, nurses, athletes, students. etc. Easy to clean - moulded edges leave no traps for bacteria. 3 digit combination code lock. Smooth surface is ideal for labelling. Food grade and BPA safe. Use to store food or medicines in a fridge or freezer (-80°C). Raised lip in locker helps contain any spillages up to 1/2 pint. Removable shelves available on request.